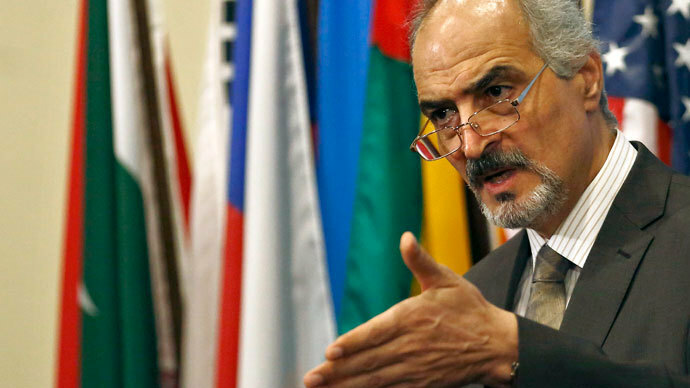 After the UN accepted documents from Damascus concerning Syria joining the Chemical Weapons Convention, Syria has “legally” become a full member of the treaty, Syrian UN Ambassador Bashar Jaafari said. "Legally speaking Syria has become, starting today, a full member of the convention," Ambassador Bashar Jaafari told reporters in New York. 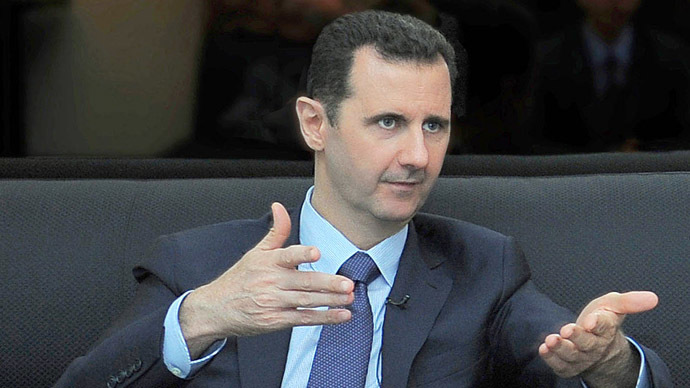 According to Jaafari, President Assad signed a legislative decree that "declared the Syrian Arab Republic approval to accede to the convention" and that Syrian Foreign Minister Walid Moualem had written to the Organisation for the Prohibition of Chemical Weapons to notify it of Syria's decision, which is enough to legally join the convention. Earlier on Thursday, UN spokesman Farhan Haq confirmed that they had received the documents necessary for Damascus' accession. "In the past few hours we have received a document from the government of Syria that is being translated, which is to be an accession document concerning the Chemical Weapons Convention," Haq said. However, on condition of anonymity several UN diplomats expressed their doubts that Syria fulfilled all the conditions for legal accession. "I think there are a few more steps they have to take,” a UN official told Reuters. Within a few days Damascus was expected to submit to the United Nations all documents required for joining the treaty and a month after the convention is signed, Syria will start handing over information on its chemical weapons to international organizations, Syrian President Bashar Assad said earlier in an interview with Rossiya-24 TV channel. 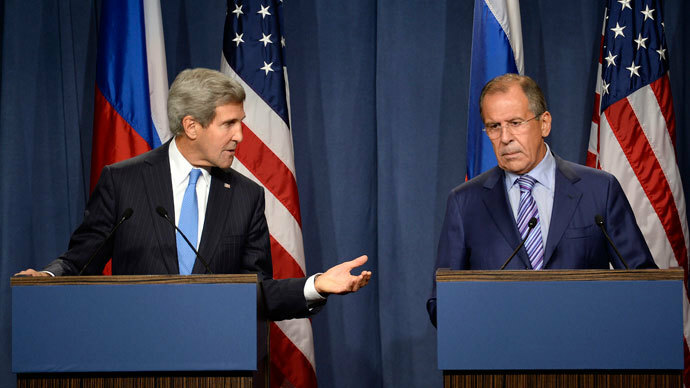 Meanwhile, during the first day of Geneva talks between Russian Foreign Minister Sergey Lavrov and US Secretary of State John Kerry in Geneva, Kerry has expressed doubts that Syria is ready to give up its chemical weapons stockpile and said President Assad has 10 days to join the treaty. Russia-US talks on Syria are expected to resume on Friday with the US saying its earlier plan of a ‘limited’ military strike against Syria is still possible if Russia’s proposal for Damascus to put its chemical weapons under international control fails. The Chemical Weapons Convention (CWC) was adopted by member states in 1992 and became applicable 1997. 189 parties to the treaty are obliged not to use chemical weapons. It also requires the signatories to seize trade and production of chemical weapons as well as to destroy their stockpile within ten years of signing. Syria is not the only country in the world which has not signed the treaty. 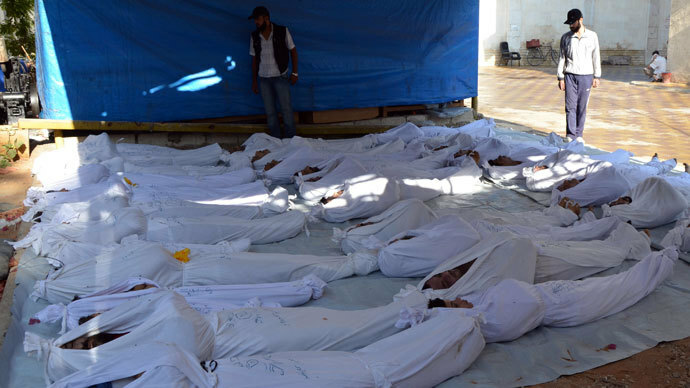 Angola, Egypt, North Korea and South Sudan are not members of the ban on chemical weapons. Israel and Myanmar signed the convention but so far have not ratified it. As of 2013, more than 80 percent of chemical weapons stockpiles that have been declared have been destroyed, according to the Organisation for the Prohibition of Chemical Weapons (OPCW), which monitors the sites. As of July 31 this year, 71,196 tonnes of agents have been declared and 57,740 destroyed. But even not being a member of the CWC, Syria still has an international obligation not to use chemical weapons, the monitoring watchdog says. "Syria is not a party to the Chemical Weapons Convention, but it is a party to the Geneva (Protocol) of 1925 which prohibits the use of chemical and biological weapons," Director-General of OPCW Ahmet Uzumcu was quoted as saying. "So they have a clear obligation not to use chemical weapons in any circumstances"